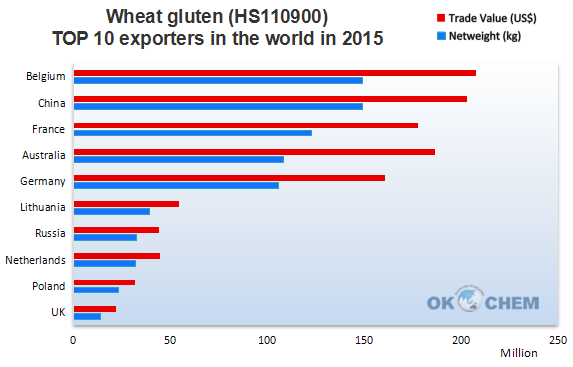 In 2015, the import of wheat gluten(HS110900) reached 956 million kilograms in 131 countries and regions; USA, Norway, Netherlands became the top 3 importers. 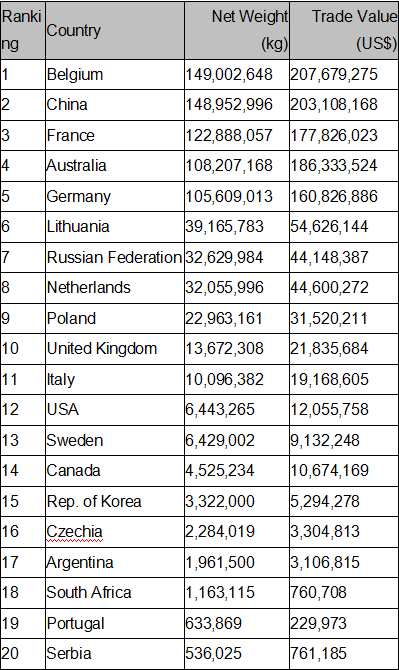 In the same year, the export volume of wheat gluten(HS110900) reached 816.5 million kilograms in 68 countries and regions; Belgium, China, France were the top 3 exporters, counting for 51.9% of global total export. 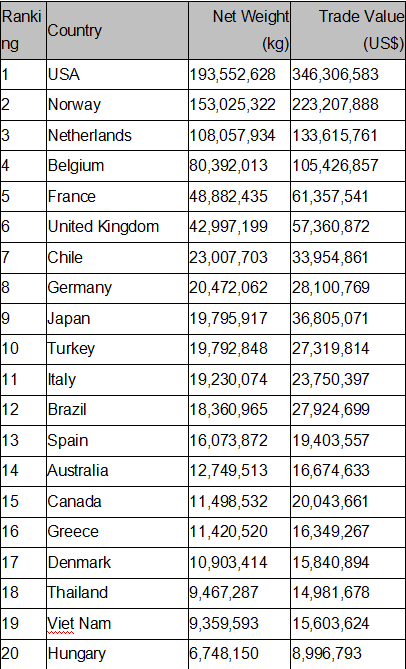 From the above figures, we can find that Belgium is the top 1 exporter of wheat gluten, taking 18.24% of global export, followed by the China with 18.2% and France with 15.4%. Vital wheat gluten is obtained by extracting the gluten from wheat, by washing the wheat with water until the starch contents are completely dissolved leaving behind the gluten. Wheat production in 2017 is set to fall some 20 million tonnes (2.6 percent) short of the 2016 record to reach 740 million tonnes, according to Food and Agriculture Organization of the United Nations(FAO). 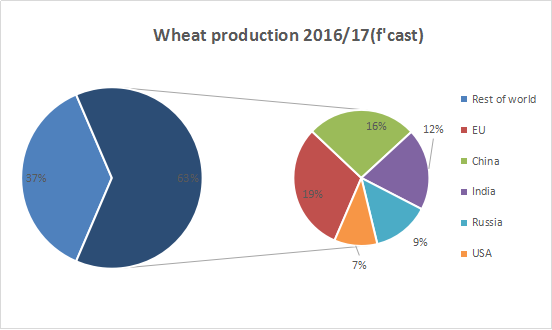 60.24% of the global wheat production primarily comes from European Union, China, India, Russia, and the United States.